Employee experience is often tied to your current team members. It’s important to make sure they’re happy, feeling engaged, and are connected with both the team and company goals. 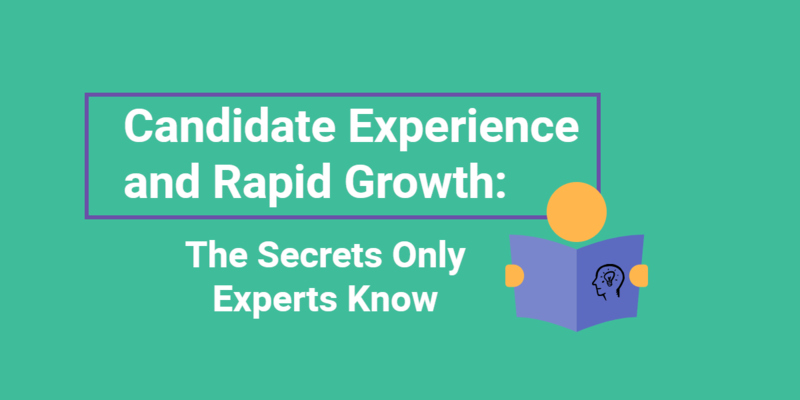 But focusing on the employee experience only when someone is officially an employee is hurting your chances of hiring the best candidates. To dive deeper into the idea of bringing the employee experience into your interview processes, we spoke with Stuart Coleman and Mandy Yoh. This means your interview processes need to be as positive and candidate focused as possible. Stuart suggests creating positive interview experiences with cultural honesty, transparency, and familiarity. Mandy, Head of Communications at ReviewTrackers, an online review monitoring company headquartered in Chicago, IL, also believes interview processes should highlight company culture. Her team stands out by focusing more on the company’s impact and how employees are part of creating those waves. Candidates need to know the company isn’t completely controlled by only the CEO’s vision or monetary gain. Instead, a positive experience begins with them understanding the company’s mission, how employees contribute, and why their passions will benefit the end goals and culture. Take a step back from your current interview processes. Look at the overall picture from a candidate’s perspective. How clear are your culture, mission, and brand? We asked Stuart why recruiters need to focus on candidates’ experiences. His answer is a reality check and should make you think about your own interview processes. I think the biggest reason is you might not actually be the most attractive person at the dance. 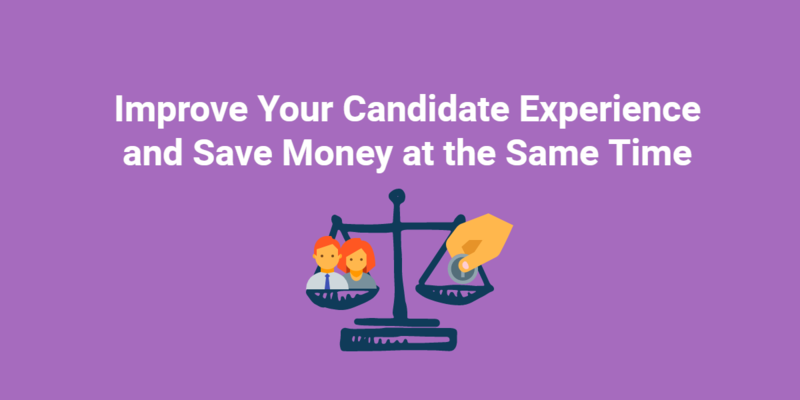 By that I mean, you’re competing with companies you don’t even know for the same talent, so it’s really important for the candidate to have a positive experience while they are going through the interview process. You could be the most successful hedge fund out there, in an amazing building, beautiful space, with incredible views. But the software company across the street has better snacks, and you don’t have to wear a suit every day. So, you can’t just let your hubris get in the way of this. You want to make sure candidates know why you work there. You want them to have a positive experience — you’re going to woo them. I always tell candidates, you want to win the job. Make sure you get a job offer everywhere you go. You may not want to work there, but you always want to get that offer. I think it’s important for companies to think the same way too, which is, I want every candidate to want me — to want to work here. It’s up to you whether they do or not. But, make sure that they want it coming in. So, cultural fit is really very important when bringing people into your company and for that person coming into the company. But it can’t be just one conversation with the employee engagement person and nobody else talks about it. I think it needs to be something systemic throughout the entire interview process. Everybody works for a company for a different reason, they all have a different reason they are going to be there. But, I think there is a common thread among all of those. And that thread is the culture of the company. So, I would tell people as they’re interviewing, look, why do you work here? Can you articulate that? Can you explain that to me or a potential candidate? Great. Tell them that. If it’s a three- or a four-person interview, they are going to get three or four different reasons why the culture is a great fit for them. And my hope is through that cross-section, they are going to find two or three things that really speak to them — that really resonates and says the job looks great and this is why I want to be here. It’s important that it’s a front to back experience for them. One of my favorite questions a candidate asks is, “why should I work here?” I love that question. I really think they are trying to get to the heart of the matter. One of the things I have learned over the years is that not every person should work for every company and not every company is for every person — and that’s okay. I want people to want to work here. But if a candidate is looking for a super fun environment and asks if we have a pingpong table or roll out a keg on Friday, I’d have to say no. However, we do have a supportive and a very caring environment, and we want to make sure we nurture our people in the best possible way. There’s a ton of flexibility. I could go on for an hour as to why I like to work here, but these are my reasons. What’s important is that these reasons matchup. Then, whether they accept or decline the offer, I’m OK with either answer. I think more than anything, it’s the transparency, it’s the honesty, it’s the, “do we match?” And if not, it was probably not meant to be in the first place. When we bring somebody in, the first step is that I talk to them on the phone and then they’ll talk to somebody else and then they’ll come in and we’ll interview them. We want to have them come sit at a desk and shadow and then maybe meet a couple other people. My goal is at the end of this they say, wow, I really feel like I know everything about this company and if they still want to work here, then our job is done. We also spoke with Mandy Yoh about her job as Head of Communications and how to use employer branding as part of the candidate experience. It’s really important how other candidates view us, and it really helps in our recruiting efforts. To [really] build an incredible employee experience, I think the key is to make people feel like they’re doing purposeful work and that they’re super invested in what they’re doing. That’s something that’s really important to us here at ReviewTrackers. We want people to feel like the company is a little part of theirs too. We don’t want them to think it’s just the CEO’s baby — it’s all of ours. And we’re here, working together to create this business and move it forward. So, representing your culture through the entire process with a candidate from the first interview to the last step of them being hired, is incredibly important. 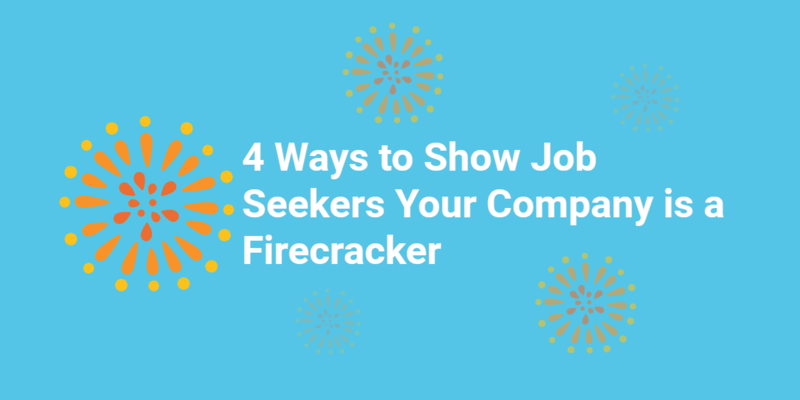 We like to make sure we do a lot of work upfront, so when a candidate steps their foot into the door of ReviewTrackers, they already have a really good idea of what we are about and our culture. We have really done this well through videos, as well as content and PR. We’ve even held different types of events where we hire people to come in and immerse them [candidates] in the culture prior to coming here. The interview process is incredibly important as well. Every single touch point we have with a potential candidate is a great opportunity to show them what we’re all about here at ReviewTrackers. We have a pretty rigorous training course that they go through. For about two weeks the idea is to learn about how ReviewTrackers got started, why we’re here, what we do, who we are, and of course, we want to make sure they have fun. So the third and final step of all of that is when the candidate finally gets an offer and we bring them in, we want them to feel they are a part of the ReviewTrackers family. During that time, they are exposed to every department in the company to get an idea of what every single person does. They see how we all come together and align around the business goals and ideas of what we want to do as a company. And then we provide tools, and books, and different resources for them to study when they go home and learn a little bit more. So another part of our culture is that we are all super close as colleagues, but a lot of us are really close as friends as well. It’s important to us and our culture that we also provide that for the new people coming on board. We want to make sure people get to know each other on a more personal level. There are lots of ways that we do this. A couple are: onboarding lunches where we take new people out to lunch and a ‘demo day’ where current employees give presentations and everyone can kick back, have a drink, hang out, and have happy hour! So standing out among our competitors is something that I think about all the time. We are one of a thousand startups here in the city of Chicago, which means we are constantly vying for the top talent all of the time. So, striving for those differentials and that unique kind of feeling and brand is incredibly important. It reminds me of something that just happened recently. I was chatting with our recruitment lead, her name is Sam, and we were talking about this candidate we had just won. And he was looking at four other companies, some really, really awesome companies here in Chicago that we all love, and he chose us. I asked Sam why that was. It was really cool to understand from the candidate’s feedback that there were two things that really stuck out: the people, and the fact that we made the entire process incredibly transparent for him. Those are two things that we try to exude in all of our marketing and all of our branding efforts. So it was really cool to see it kind of come full circle, from the mouth of somebody who was actually interviewing at our company. It just goes back to the whole idea that we are a feedback company. We are constantly telling businesses to listen to their customers and to follow the feedback. Who would we be if we didn’t do the same in everything that we do as well? Especially with the people who come in and are our potential candidates and might be able to join the ReviewTrackers family. We’re super proud of the type of culture that we have built, but we can always be better. The way we improve is through feedback from candidates and really understanding what they need and what they want. That’s truly the most important part. It’s kind of a company-wide thing here that we all believe in the same ideal: we can always do better, we can always do more. This is something that we carry, and will continue to grow on, and to be better at in years to come. Do you offer candidates a strong employee experience? Let us know how you do it!